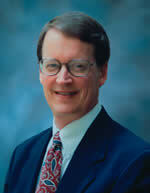 Dr. Terry Mortenson (1953-) is a lecturer and researcher at Answers in Genesis (based in the United States). Dr. Mortenson grew up being taught that evolution was a fact and he began to see the fallacies that surround the evolutionary theory shortly after he became a Christian in April of 1972. Dr. Mortenson has been lecturing on the creation-evolution issue through Europe and the United States since the late 1970s. He has been with Answers in Genesis since 2001 and is a frequent conference speaker and guest on Christian radio and television programs dealing with creationism. Dr. Mortenson earned a B.A. in math from the University of Minnesota in 1975, a M.Div. in systematic theology from Trinity Evangelical Divinity School, Illinois, in 1992, and holds a Ph.D. in history of geology from Coventry University, UK, in 1996. Dr. Mortenson married Margie in 1976 and together have 5 daughters 3 sons. Part 1. Historical Setting TJ 11(2):221–252, 1997. Part 2. Granville Penn (1761–1844), 11(3):361–374, 1997. Part 3. George Bugg (1769–1851), 12(2):237–252, 1998. Part 4. Andrew Ure (1778–1857), 12(3):362–373, 1998. Part 5. Henry Cole (1792?–1858), 13(1):92–99, 1999. Part 6. Thomas Gisborne (1758–1846), 14(1):75–80, 2000. Part 7. Rev. Samuel Best (1802–1873), 16(2):89–94, 2002. This page was last modified on 19 June 2010, at 10:05.